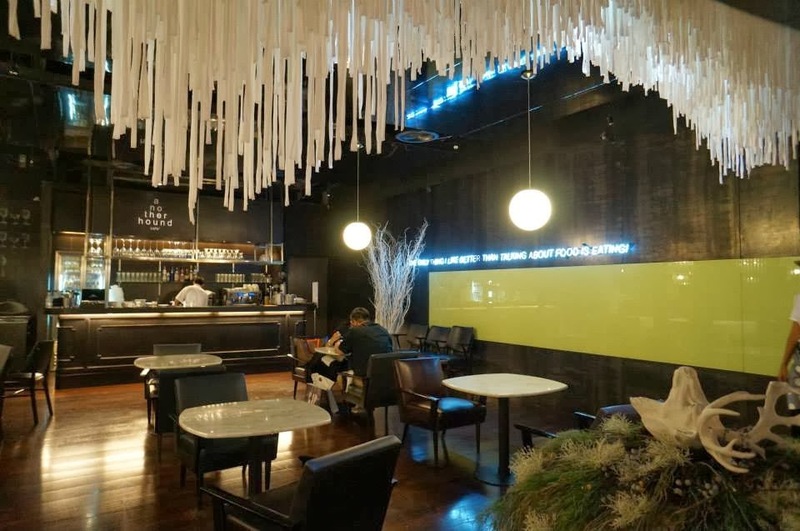 Bangkok has tons of eateries, from street food to fancy food havens, but somehow, it’s always a massive headache to decide where to eat and what to eat. Spoilt for choice, perhaps. I've tried most of street food in Bangkok, it's time for something different. 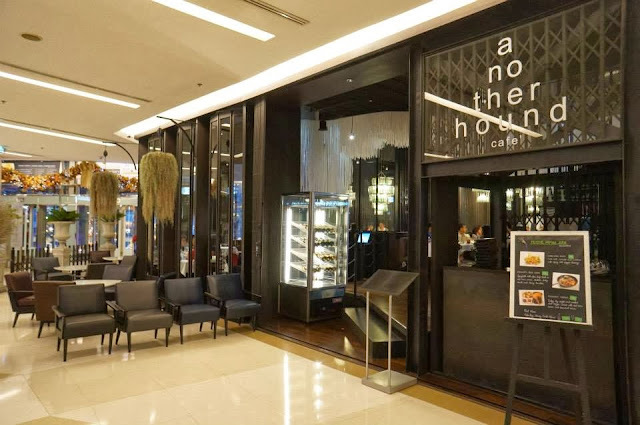 That evening, we picked Another Hound Cafe at Siam Paragon lthough I’m not a great fan of Italian-Thai fusion , but I don't mind trying out something new. It's one of the home brand and it is famous in Bangkok. 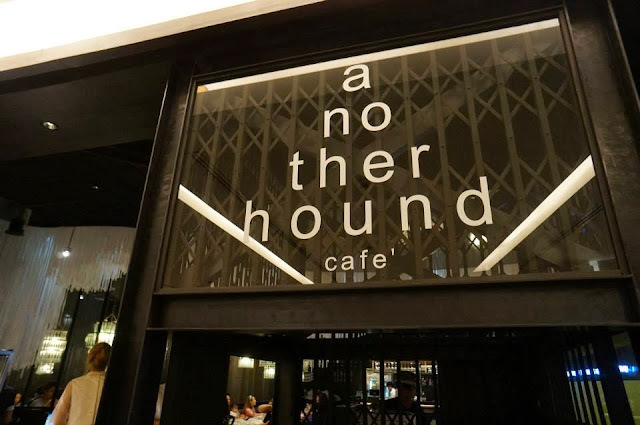 Seriously, Another Hound Cafe was one of the places we ate that deserving a mention. 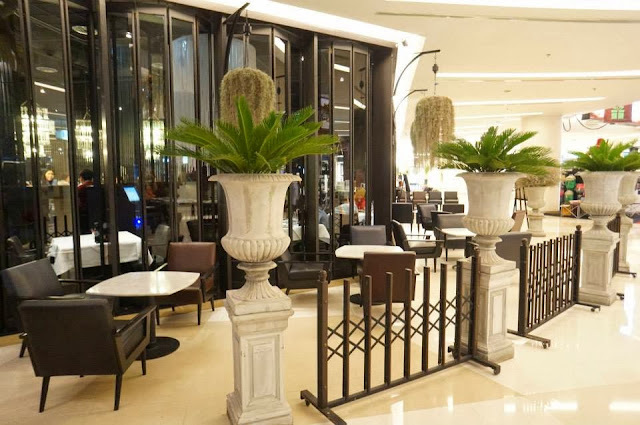 It is situated on the 1st Floor of Siam Paragon, just right beside the lift. 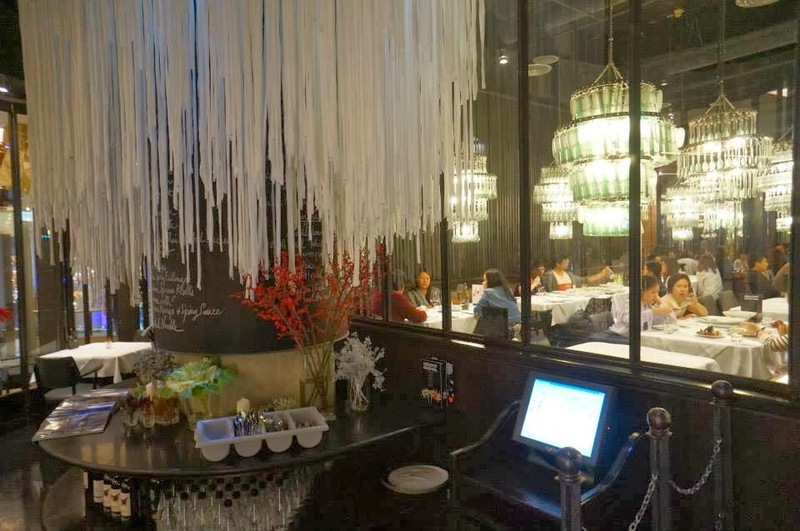 The interior of the restaurant. I love the decorations of the restaurant. Especially the unique chandeliers! Each one has a different design! Some had spoon designs, some forks, etc. Chic, trendy and modern atmosphere. Price range of the food here would be slighter costly compared to the ones you get at the streetside stalls here's like an average of 250THB for a main dish. 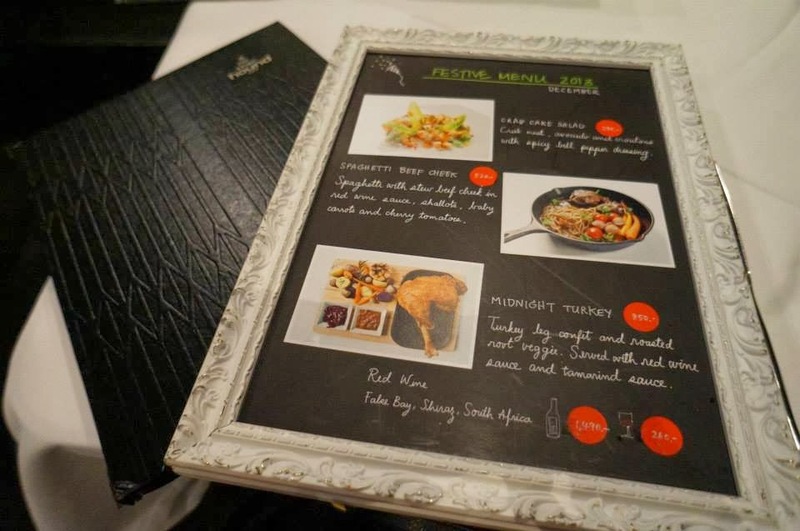 This place serving Italian taste with Thai twist, variety of Italian and other western food that are infused with Thai spices. Worth to try! They had different menu during Festival. So how they put it in a super huge frame, lol! 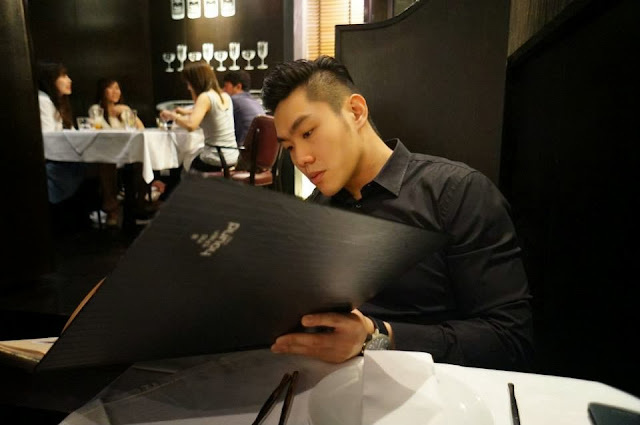 Some candid shots, someone looking very decent. wasn't really looking at the menu because at the end someone ordered everything for me. 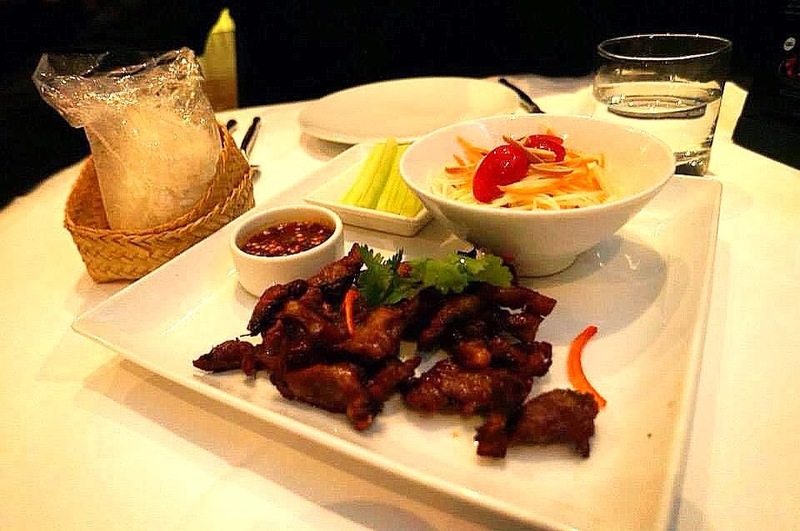 Fried sun-dried lamb served with sticky rice, Jaew sauce and Som-Tum salad. The lamb is superb! Well cooked, must try! But i don't really like the Som-Tum salad. 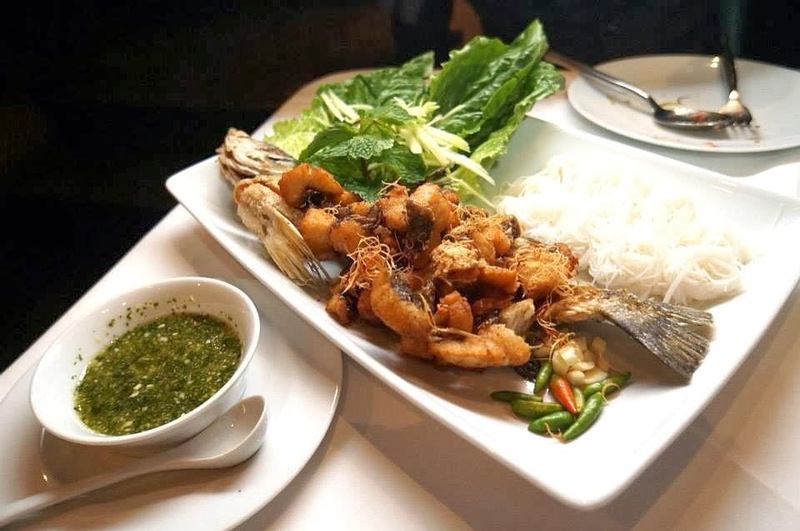 Served with chopped green mango, fried lemongrass, rice vermicelli and spicy sauce. 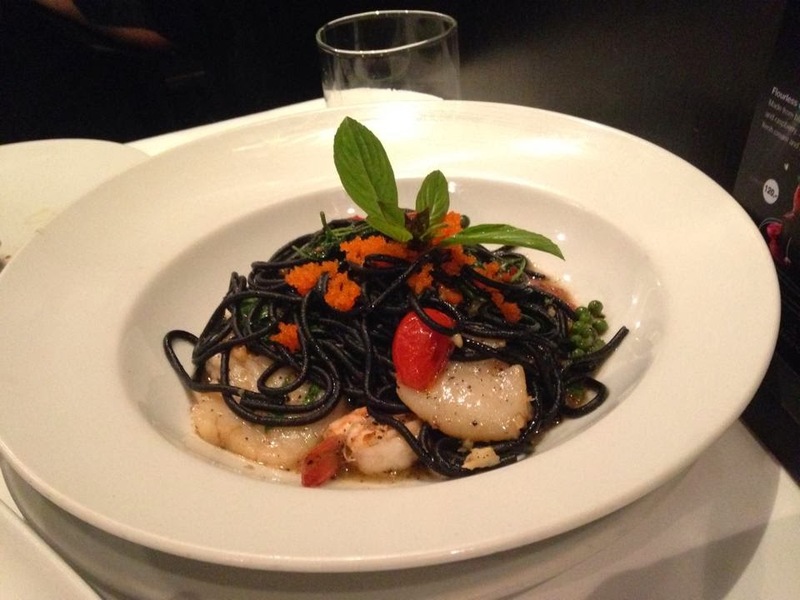 Ink spaghetti with shrimps and scallops stir-fried with Italian basil leaves, green peppercorns and chilies. 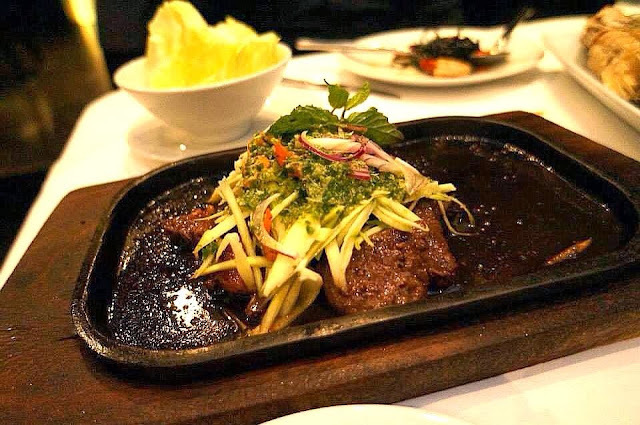 Served in hot plate with side salad. Prices and services is okay. The food full of surprises, either way.